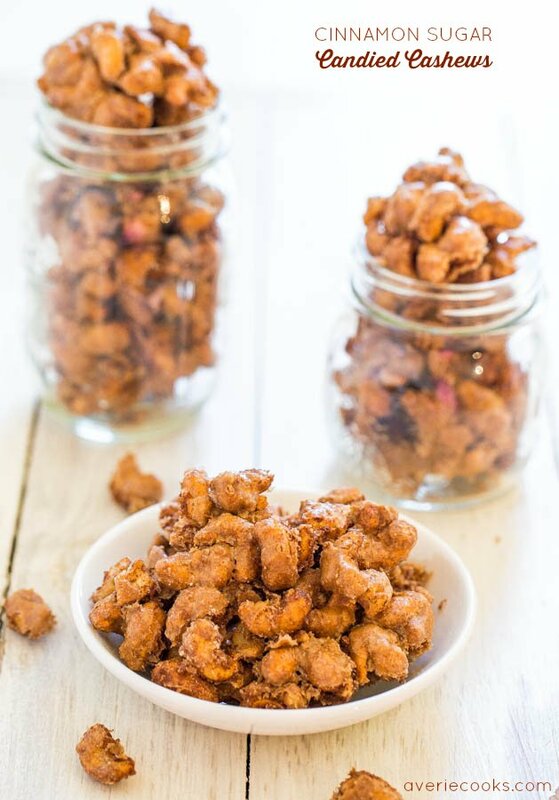 You’ll never need to buy those extremely over-priced fancy candied cashews again. The kind that are so good you can’t stop eating them. Like $20 dollars worth in 20 minutes. Never again. You can make your own. 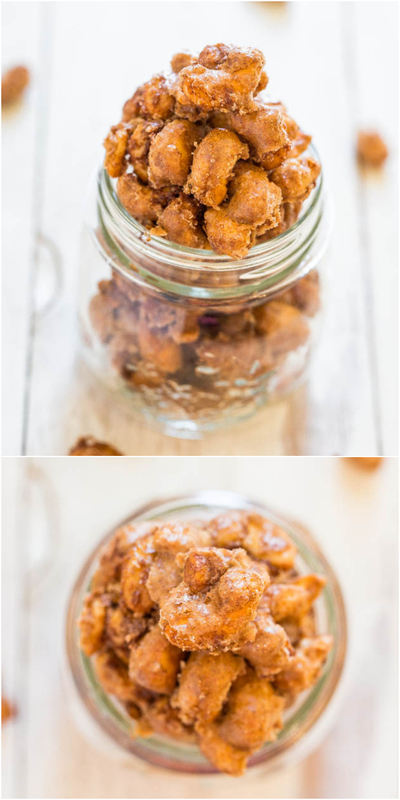 This is best and easiest recipe for homemade candied nuts I’ve tried. The recipe is adapted from my Sweet with Heat Cinnamon Sugar Candied Nuts and I made it even easier. Everything is mixed in one bowl and they’re ready in 30 minutes. Can’t beat it. They’re salty-and-sweet with just the right amount of cinnamon to add great depth of flavor. Add a pinch of cayenne for extra shazaam. 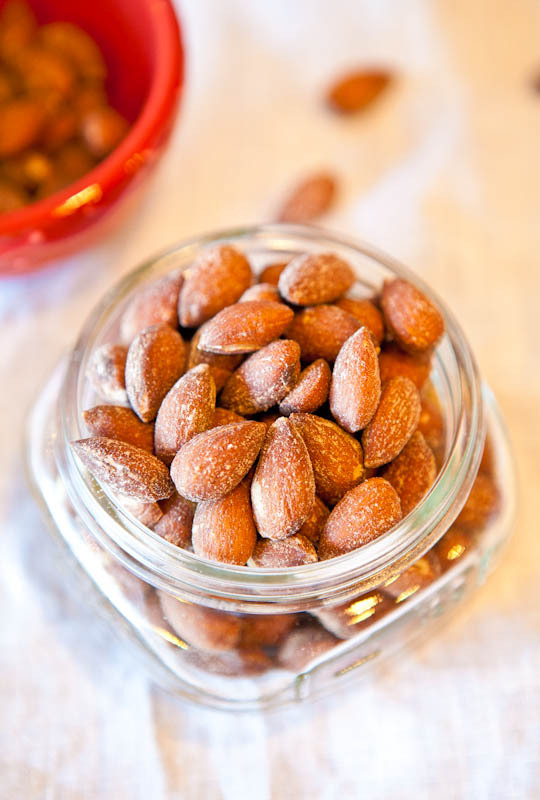 Although almonds seem to be a cult favorite, I’ve never been as big of an almond fan as either cashews or peanuts. I could eat honey-roasted peanuts all day long and the same goes for these cashews. Cashews are softer and more buttery than almonds, which I prefer. I use them in vegan desserts as a butter replacer. 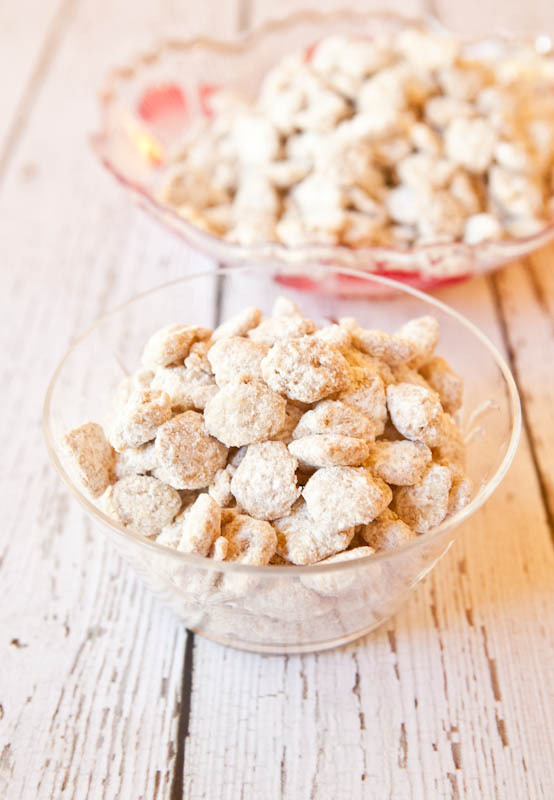 The cashews have the perfect amount of satisfying crunch, thanks to the cinnamon sugar coating. It’s crunchy and really bakes in rather than just falling off, which is all too common with homemade candied nuts. The secret? An egg white. It serves to coat the nuts before they’re tossed with cinnamon and sugar so it adheres. And while baking, the egg white binds and solidifies the coating onto the nuts. I used whole roasted, lightly salted cashews from Trader Joe’s. Their nuts are the best value for me. I don’t have room to store Costco-sized quantities of things. 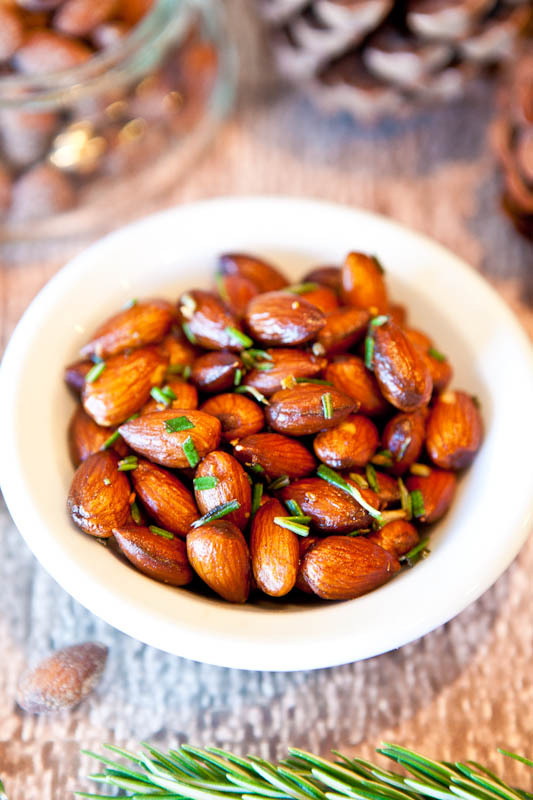 I prefer using already roasted rather than raw nuts because they have more flavor. The recipe works with almonds, pecans, walnuts, macadamia nuts, and peanuts, although you may need to adjust the baking time slightly. Between the salty-and-sweet factor along with the crunch factor, I went to town on the cashews immediately as they came out of the oven. The scent in your house while they bake is just heavenly. They firm up and get crunchier as they cool so waiting an hour, or even overnight, is best. But I couldn’t. They make excellent easy, inexpensive, and impromptu gifts, but because they’re so addictively good you may not have any left over to give. 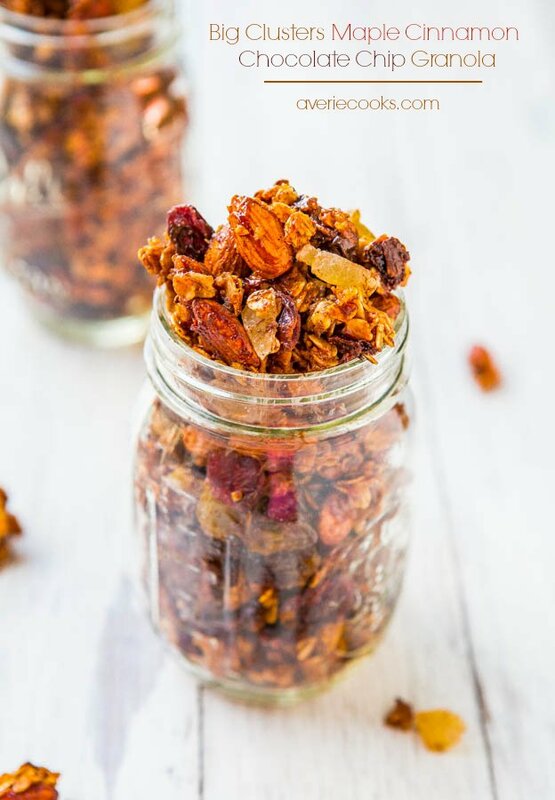 This is the best and easiest recipe for candied nuts you’ll find. Everything is mixed in one bowl and from start to finish, you’re done in 30 minutes. 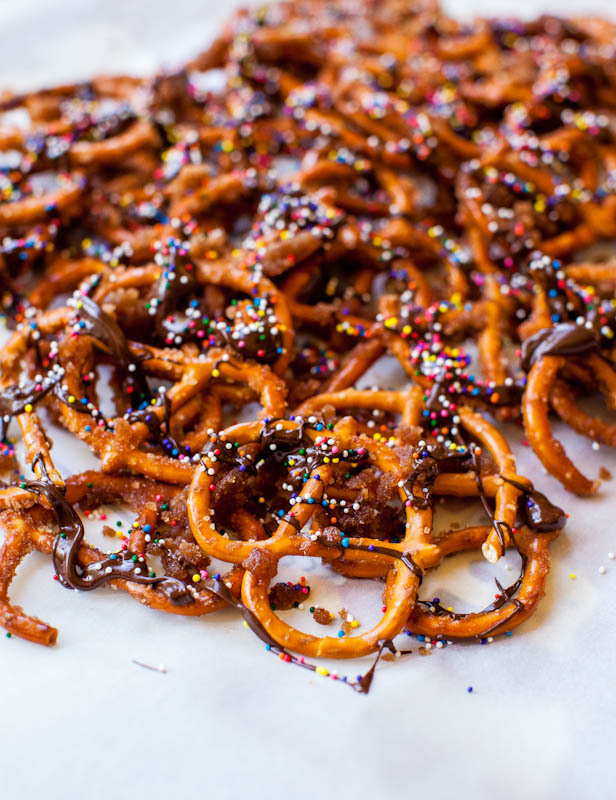 They’re salty-and-sweet with just the right amount of cinnamon to add great depth of flavor. Add cayenne for an extra kick. The cinnamon-sugar coating is crunchy and really bakes into the nuts, thanks to an egg white which helps the coating adhere, bind, and solidify. The recipe works with almonds, pecans, walnuts, macadamia nuts, and peanuts, although you may need to adjust and baking time slightly. I used lightly salted, previously roasted cashews. They firm up dramatically as they cool, so don’t be tempted to over-bake them. They make excellent easy, inexpensive, and impromptu gifts, but because they’re so addictively good you may not have any left over to give. Preheat oven to 300F. Line a baking sheet with a Silpat or parchment paper. Don’t skip lining your baking sheet; set aside. To a large bowl, add the egg white, water and whisk vigorously until very frothy, foamy, and bubbly, about 2 minutes by hand. Add the sugars, cinnamon, salt, and optional cayenne, and stir to coat evenly. Bake for 25 to 30 minutes (I baked 28 minutes); don’t overbake or nuts can burn. Coating will appear bubbly, quite soupy and wet in the center of tray even when nuts are ready to be pulled from oven. It will seem like nuts should bake longer so the coating dries out more, but it firms up dramatically as nuts cool. As always, use your judgment and let your nose and eyes be your guide to doneness. When nuts are cool enough to handle break apart large clusters. I love plain cashews but wow! 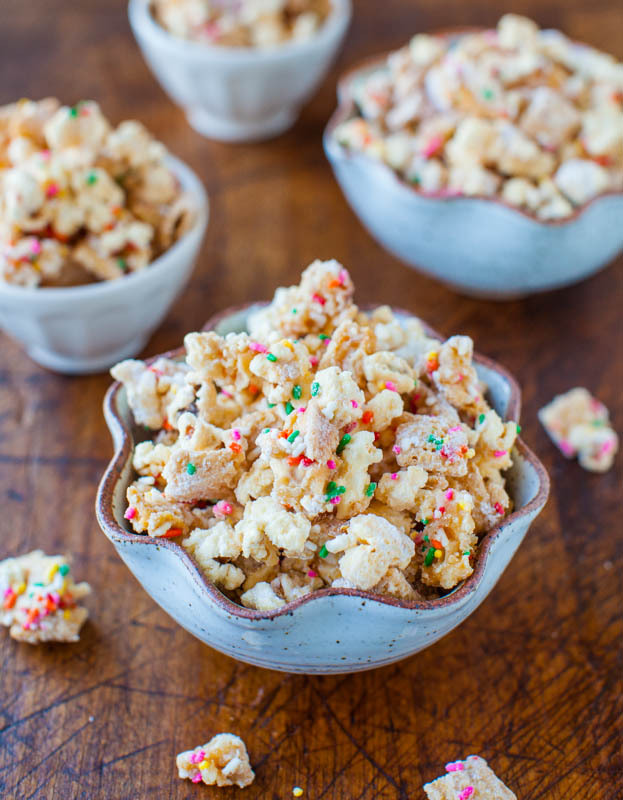 Candied cashews sounds amazing! Wow these look so mouthwatering!! OH! 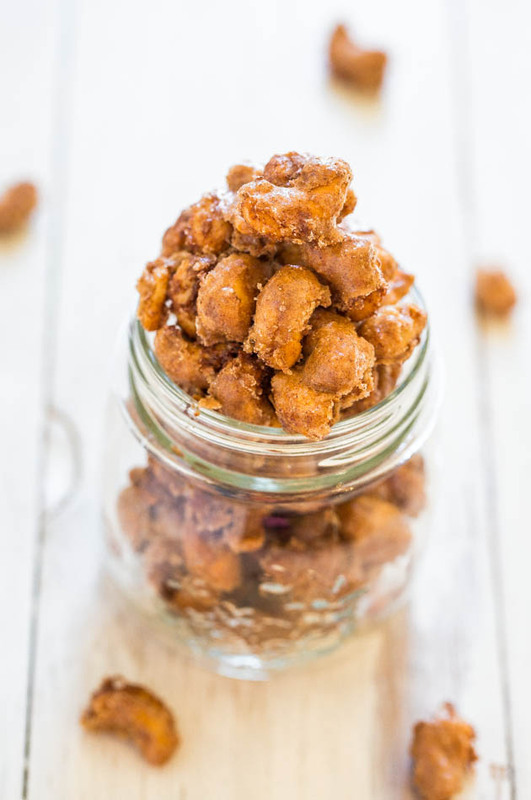 I’ve done almonds, walnuts, and pecans before but never cashews…these look fabulous!! :) Great idea! I saw these in the morning today and couldn’t wait till weekend to make. I wasn’t sure if they would be loved or not, so I tried it with just one cup of peantuts and they disappeared in no time! Mom and dad are with us and they LOVED the crispy and sweet peanuts. They didn’t wait till five o’clock tea time, we all ate them right from the baking tray! They got angry because I made just 1 cup. I know I will be making these quite often! Thanks so much Averie for these addictive snack! This is the same recipe I use, but for mixed nuts. Love it! I tweaked my other recipe & made it easier! Glad you’re a fan of the method, too! These would be dangerous to have around. So addictive! I go through so many nuts that I do buy them at Costco and they are of a surprisingly high quality. 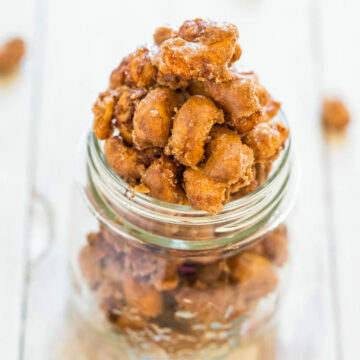 I’ve made candies pecans but never candied cashews. I LOVE cashews so I need to try this soon. 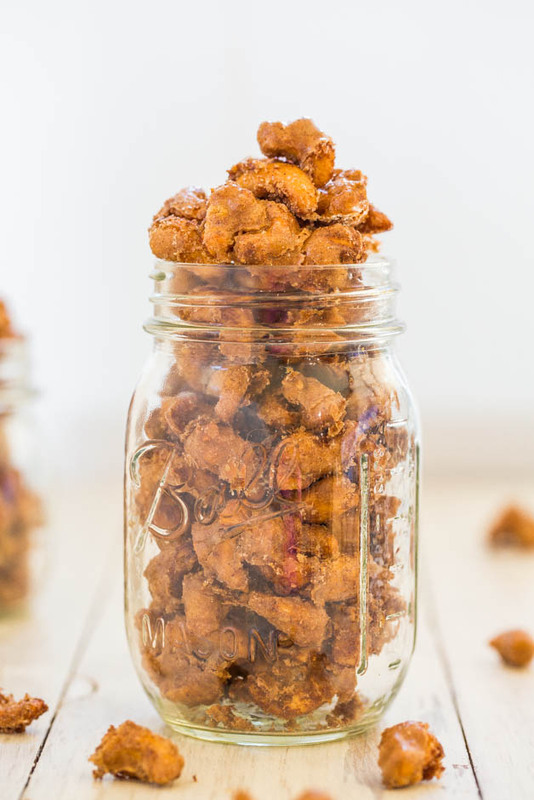 Really digging the addition of cayenne pepper into your candied nuts. I enjoy a little heat in my food. Great recipe, Averie! Pinned! I’ve never made my own sugar-spiced nuts before, but I need to get into it! Totally pinned! That salty/sweet combination is the best, I could probably finish off a whole batch of these if left unattended. Candied nuts are my favorite. I cannot stop myself once I have some in front of me. The expensive prices are built in self control. High prices I can resist. Candied nuts I cannot. These are dangerously divine! Well I hope you can save some money then and DIY! Glad they came out great for you after the 12 minute stint back in the oven. With things like this, you just have to watch them like a hawk and bake until they’re not gooey. Glad they got the husband’s seal of approval :) And sorry about the glasses/Capn Crunchies situation…that sounds like something I would do! half cin. and half ginger = sounds great to me, I’m a huge fan of both! 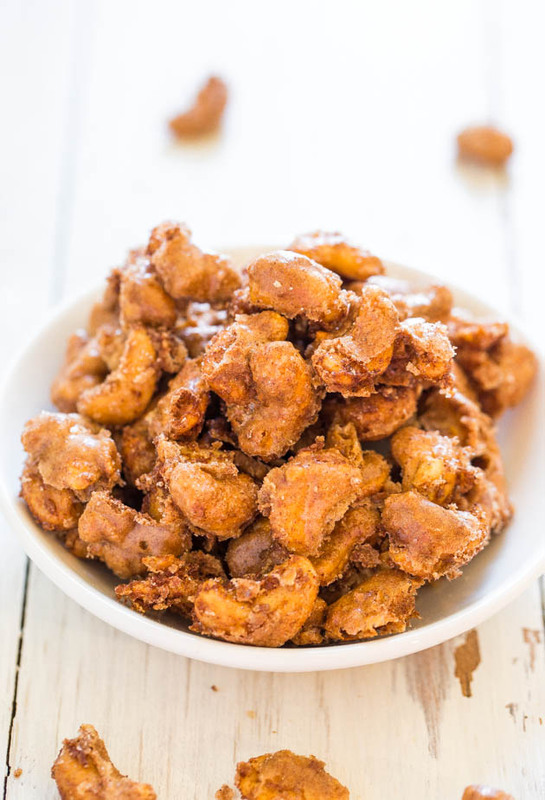 Rather than tossing the nuts in egg, you could try tossing them in the pineapple honey mustard and/or a little egg (maybe half an egg) and then coat/dredge them…not sure how that will all play out but it’s worth a try if you have tons of cashews. Keep me posted! Well I made tusing the egg wash mixed in the nuts then the mustar along w/tsp. ginger and 20 min. in oven and cooling right now but they taste mighty good and your right to wait the next day as they are even better. Ill be doing more at a later date and use cin. and ginger. P.S. Ill be adding them to popcorn also. TKS FOR A GREAT RECIPE AND CAN BE VERY VERSATILE. Thanks for the update and glad to hear you’re loving the recipe and that it’s versatile!! 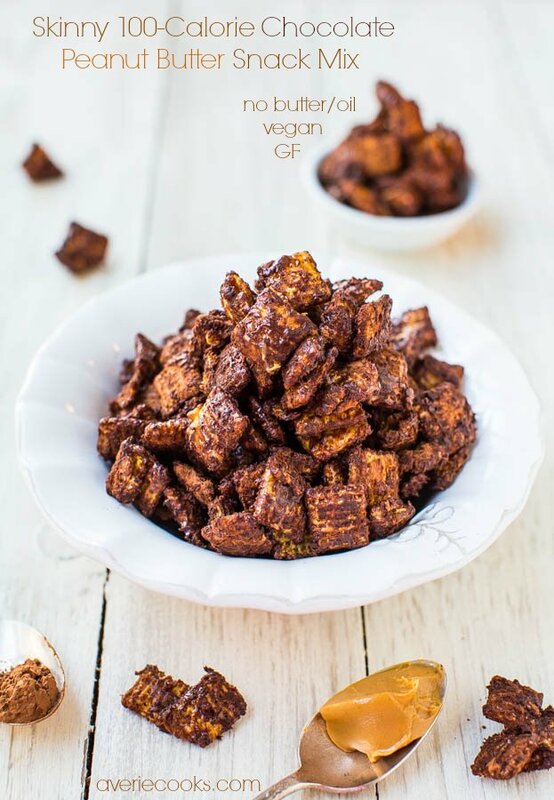 I know I’m a bit late to this post, but I just had to say that this nut recipe is de-licious!! I made the recipe with walnuts and pecans as they are currently in season, and followed the recipe as stated. SO good, Averie! Thanks for yet another keeper ? Thanks for trying the recipe and I’m glad it came out great for you with the walnuts and pecans! My nuts never got crunchie. Stays chewie no mattee what i did. Great flavor. Not sure what I did wrong! Sometimes baking a bit longer can help and/or drying out in the open air, provided it’s not humid where you live. Cashews aren’t a super crunchy nut to begin with compared to an almond for example, but as long as the flavor was great, that’s good to hear. So I’ve made this recipe a bazillion times and my friends LOVE them. However…. this year I have a few more friends who’ve gone paleo…. could I use maple syrup instead? And if so, how? Thanks! Not sure if that would work because it’s a liquid and this recipe uses dry sugars. You could experiment and see what happens. LMK! 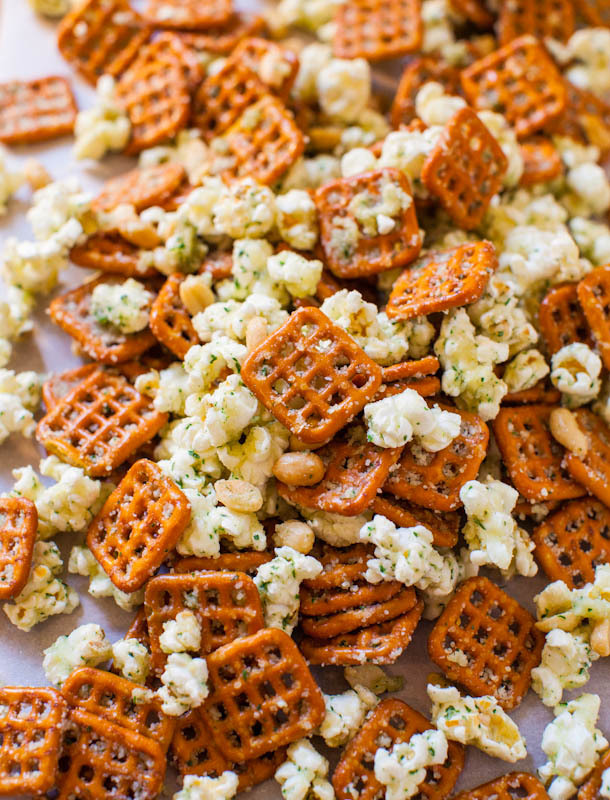 Always too afraid to give these a try, this is a great simple recipe! All ovens vary, climates, etc and with nuts they can sometimes surprise you with how fast they cook. Glad this is a good baseline recipe for you! 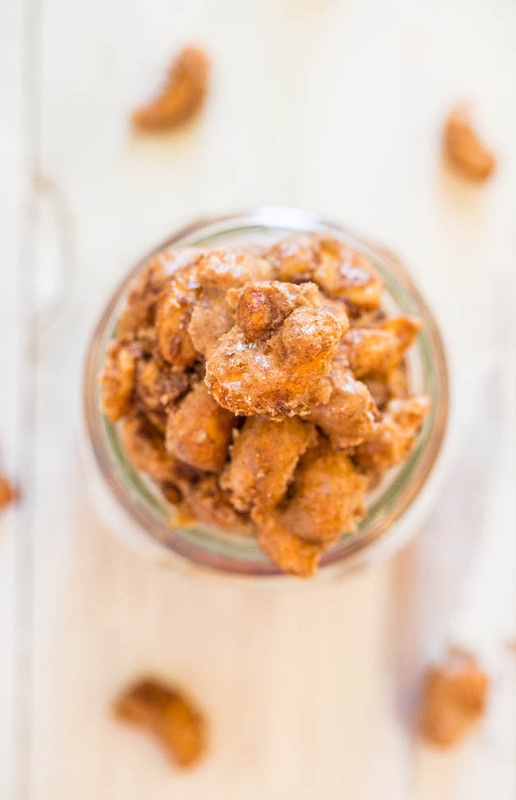 My husband bought some candied cashews recently and I knew I needed to make them at home. I just tried your recipe and can’t believe how amazing these turned out. So easy too! We both like them better than store-bought (it’s the cayenne I think). Thanks for sharing this recipe! We’ll be making them again soon! (Your comment cracks me up about them lasting 1 month. These will be lucky to see tomorrow! Thanks for trying the recipe and I’m glad you love it and that these turned out better than storebought! Gosh these were good. First batch was perfect, second batch I got greedy and tried to double on pan,…not as good because I think the nuts were too crowded (still good but not as perfect as the first batchJ. Third batch I used vanilla extract instead of water, loved that way too. Great recipe. Thanks. 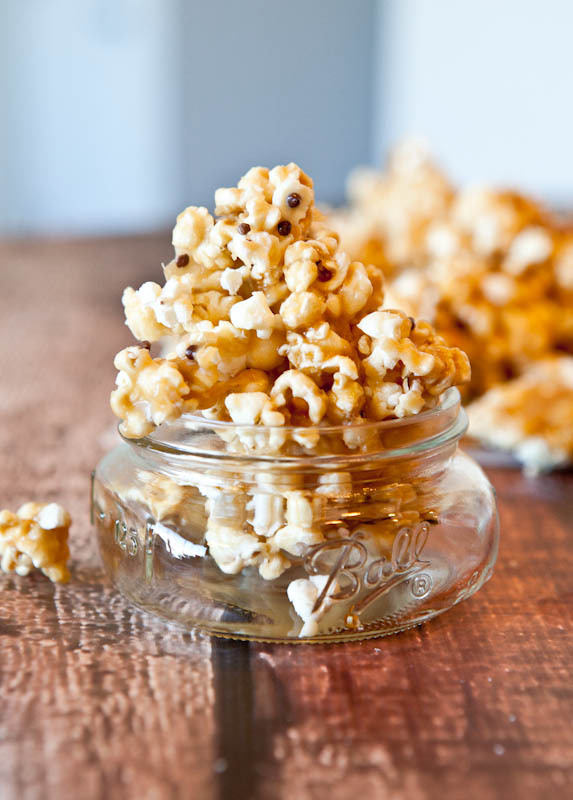 Mmm vanilla extract sounds delish and glad you loved the recipe and tried multiple batches! Just made these for Thanksgiving – had to make a second batch because the first one disappeared too fast! The cayenne is definitely a great touch. I’ll confess I replaced the water with a tablespoon of bourbon! I think replacing the water with bourbon is a great idea! Glad that you even made a second batch!